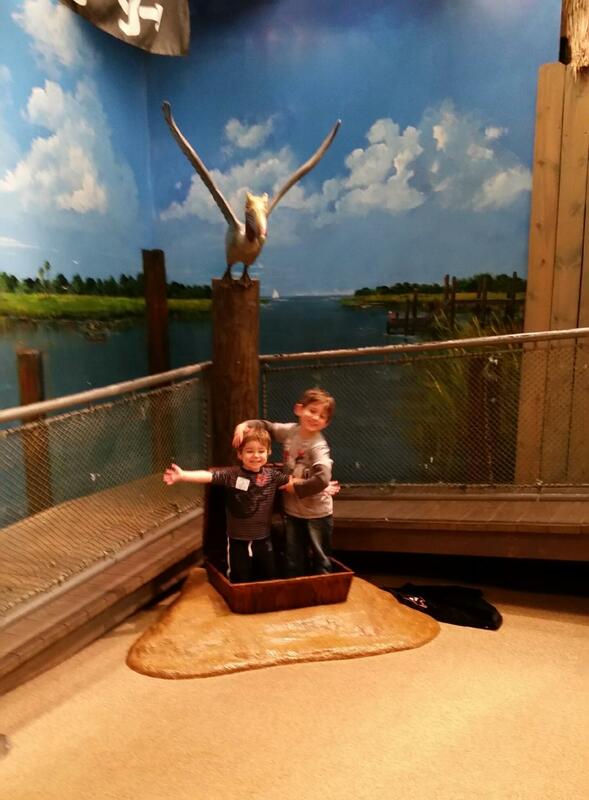 Last weekend my family traveled to Charleston, SC and we took our boys to the Children’s Museum there. We had been there before and the boys absolutely loved it, so I wanted to take them again. 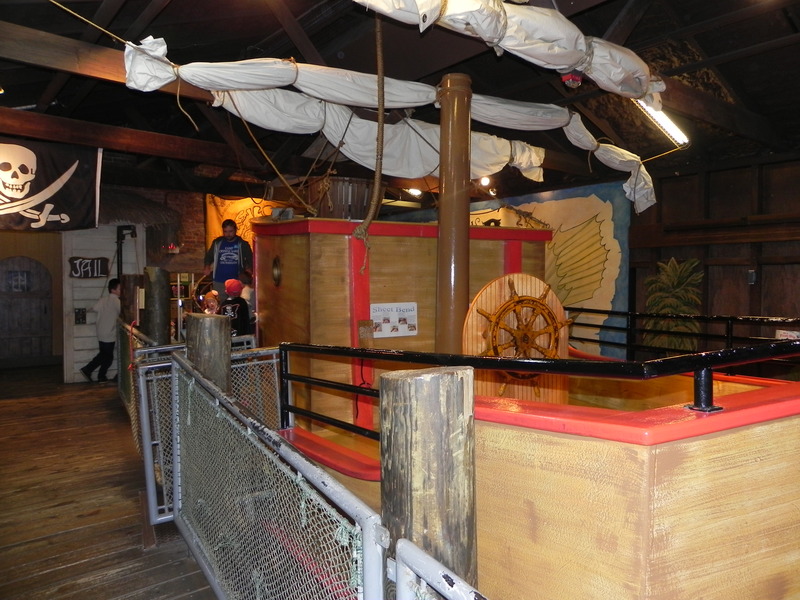 The Children’s Museum of the Lowcountry in Charleston is one of my all time favorite children’s museums. 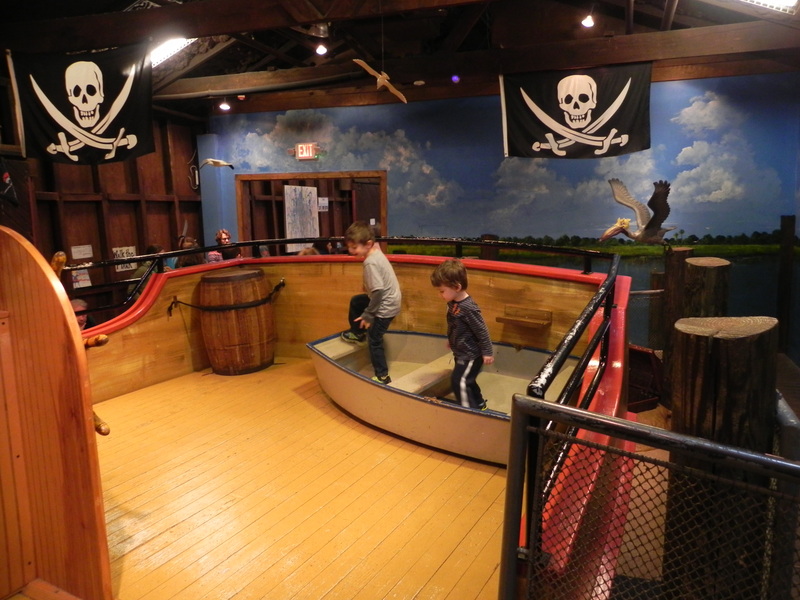 There are nine unique play areas for children of all ages to explore; the art room, medieval creativity castle, kids’ garden, an antique fire truck (outside), raceways, waterwise, pirate ship, the Publix market, and the infant and toddler play space. The museum is very affordable. It’s only $10.00 for South Carolina residents and $12 if you are not a resident. Children under 1 are free. I love that they have a small child size door in the middle of the entryway! My sons loved having their own door to enter through. I’ll take you through a few of the rooms so you can see for yourself just how fun and exciting this museum really is for kids. It was pretty crowded the day we went so it was difficult to get shots without people in them, so forgive any pictures that may not be the best. Our first stop was the pirate ship. This ship is loaded with goodies for the kids. 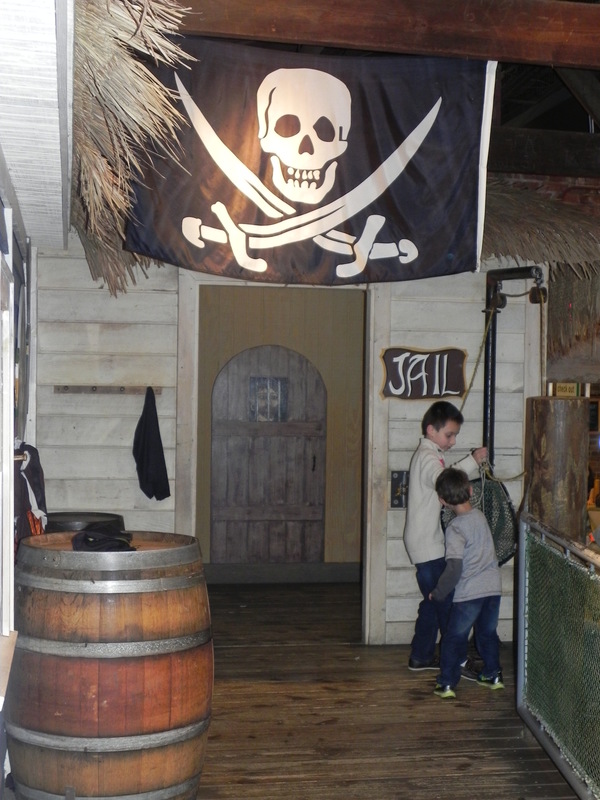 There are pirate costumes they can wear, a jail, a treasure chest, dolphins swimming, and the kids can steer the boat. Next, we visited the medieval creativity castle. 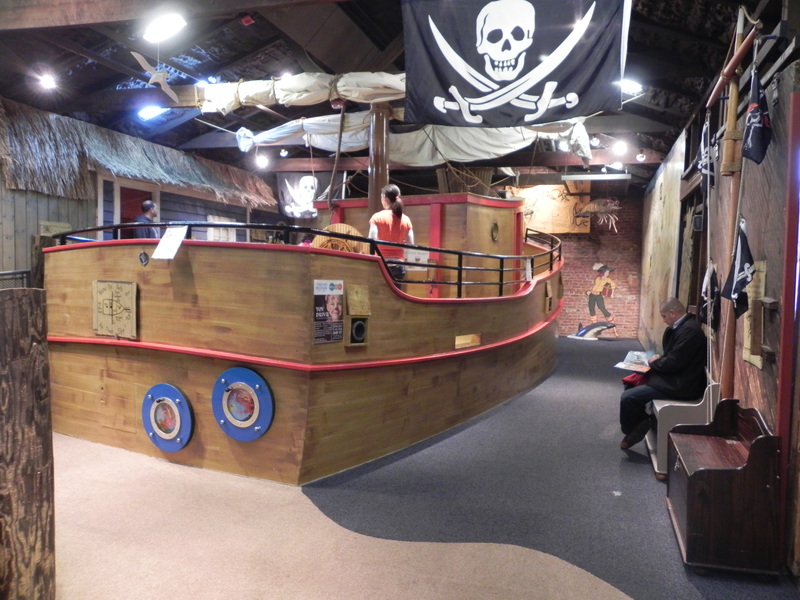 There are costumes the kids can put on to play in, “horses” the kids can ride, a puppet stage, a downstairs and an upstairs area to explore, a throne they can sit in, and there are even secret passageways. After that it was on to waterwise. A whole room full of waterways the kids can play in. What kid doesn’t love playing in water? There is a chalkboard wall the kids can write on with water, plenty of water toys, and even a spot where they can move a rain cloud and make it rain. And there are plenty of smocks for the kids to wear so they don’t get their clothes all wet. The Publix market is one of my boys favorite spots. They get to go grocery shopping! There are shopping carts and baskets for the kids to use as they shop, check out lanes with computers that work and ring up the food, and a fun deli counter where the kids can make (pretend) sandwiches and snacks. Our last stop was the raceways. This area is full of chutes, loops, and hoops the kids can put golf balls in and see what happens. They get to explore Newton’s laws of motion and gravity while having fun doing it! It was a little chilly the day we went so we didn’t go outside and explore the garden or play on the fire truck but here is a picture of the fire truck for you. Overall, I absolutely love this museum! And, what’s more important, my boys do too. 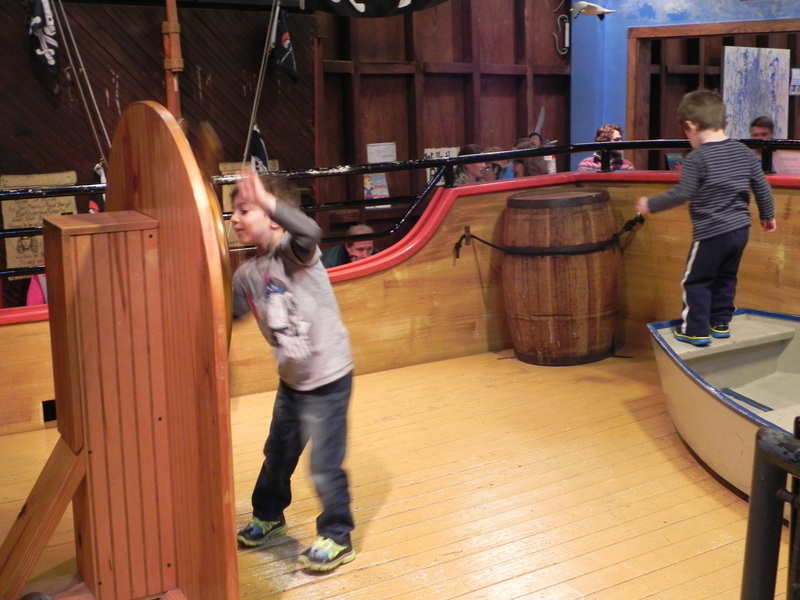 This museum offers hours of interactive imaginative play time for a small fee. It is well worth the money! Be sure to check it out if you’re ever in Charleston, SC! 4 Responses to "Children’s museum review"
They are so much fun! Wow, what a fab day out! I wish British Museums would be that fun and interactive. Thanks for the comments! Maybe one day you’ll have these types of museums in the UK. Hopefully!